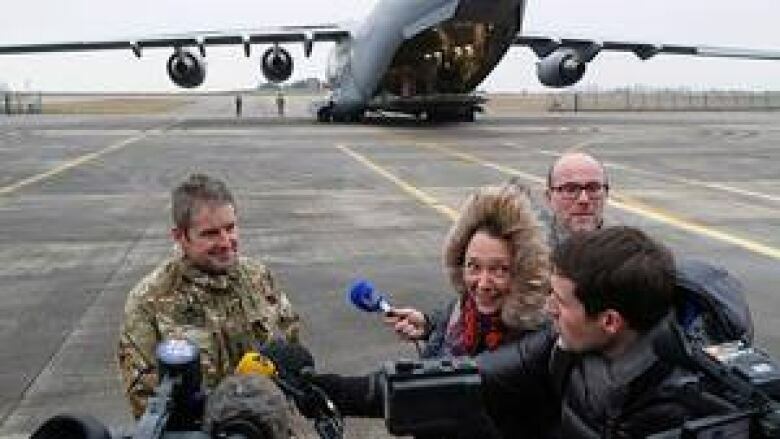 The departure of a Canadian Forces C-17 transport plane with 35 personnel headed to support the French mission in Mali was delayed by mechanical problems today, but has now left CFB Trenton. Canada's ambassador in Mali is delivering a diplomatic scolding in Bamako, urging the government to focus on its return to democratic and constitutional rule. [Mali has the potential to become] a Darfur multiplied a hundred times.